iPad Smart Cover looks a bit like Candy Shell Wrap, apparently the iPad case without back cover is more slim. According to different materials, the cover is available in polyurethane and leather. Each iPad cover comes with microfiber lining in order to protect the screen from scratches. And its foldable design makes the cover double as a nice iPad stand for your typing, FaceTime, and movie watching. Apart from that, Smart Cover connects with iPad via an aluminum hinge with magnets. Once you open the cover, your iPad will wake up. Close it, iPad automatically goes to sleep. The TPU Hard Case provides an extra protection for your iPad. Special hook design for smart cover, prevent your iPad falling if the smart cover magnet detached accidentally. Only 0.8mm thin, it not only changes the look of your iPad, but also offers great protection against scratches, finger marks, bumps and scuffs! This case allows complete access to all control buttons without having to remove the case. 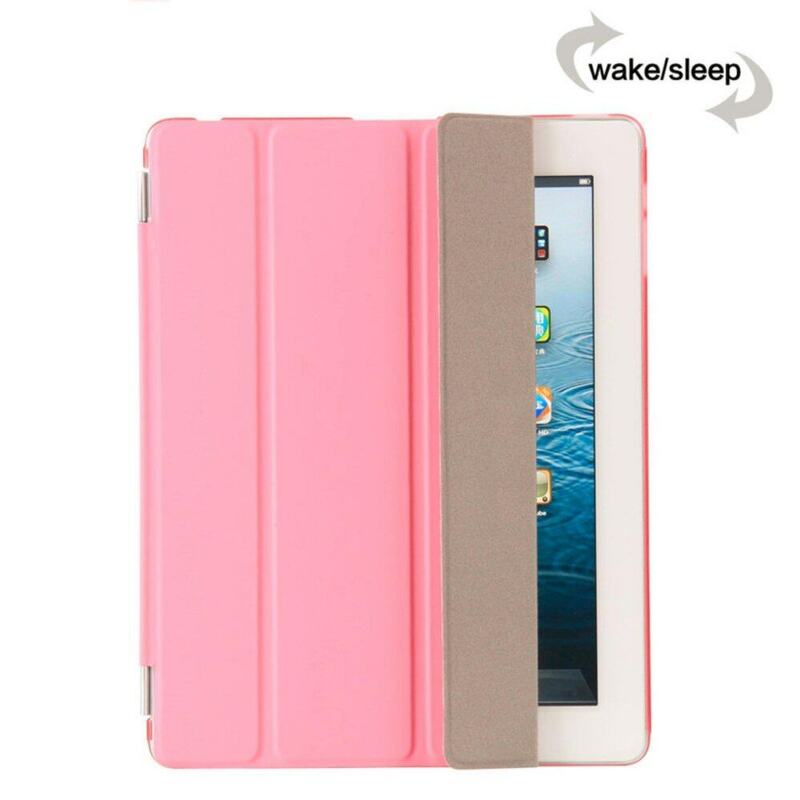 It is extremely durable and is 100% compatible with the iPad Smart Cover! This case is perfect protection for your expensive iPad this is because the Apple Smart Cover only provides the protection for the front, and never protects the back from scratches and bumps but simply clipping our Exclusive TPU Gel Case onto the back of your iPad, the cover encases the back, sides and corners of your iPad, leaving it completely protected from scratches, dents and other damage.